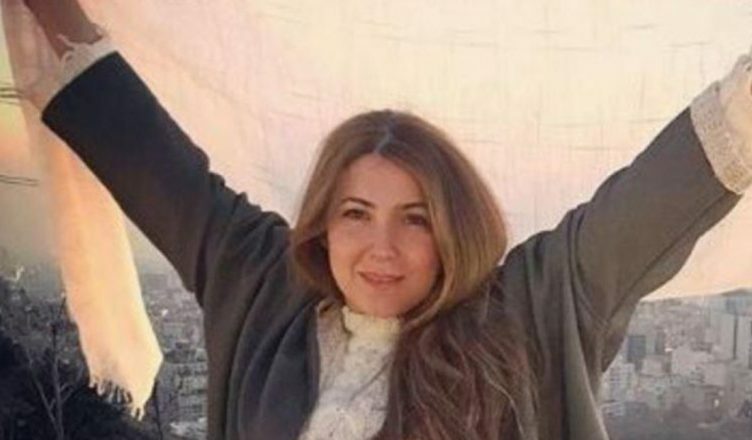 Shapark Shajarizadeh was one of 29 women who undertook individual protests against the wearing of the hijab in Iran in February. Last month her lawyer Nasrin Sotoudeh, who specialises in human rights and also represented other women involved in the protests, was arrested. It appears that 42-year old Shapark was subjected to beatings and torture after her arrest. Another 31 year old who took part in the protests is also rumoured to have been arrested. Penalties for women revealing their hair in public in Iran range from the equivalent of a £19 fine to a prison sentence. Shapark was sentenced to two years in prison and 18 years suspended prison sentence. On Instagram she said “This means that I will have to be silent for 20 years and not get involved in any activities.” She has rejected this and has fled the country. Aggravated by US sanctions, Iran’s currency, the rial has plunged 15%, resulting in protests in late June, after previous protests in January and February. Some of the chants include against Iran’s involvement in Syria “Let go of Syria and think about us” as well as direct challenges to the theocratic regime “Down with the dictator”. These protests originated in the bazaar quarter in Teheran. The regime is feeling threatened by the increasing confidence of Iranians to protest as the economic situation worsens. They will use brutal force to crush any protests, but that might not be enough to save them, As we said before, the Shah was swept away by mass action before, and now the odds are shortening of the Rouhani government and the supreme leader Khameini being similarly swept away. Shapark was sentenced to two years in prison and 18 years suspended prison sentence.